Our commitment is to you, our loyal customers, NOT to any Insurance company. We promise to repair your vehicle correctly. 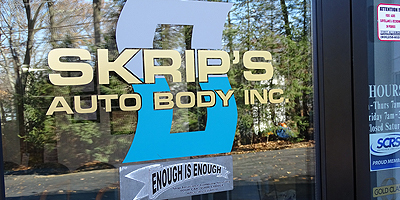 Skrips Auto Body has been an advocate for consumers since 1978. I knew long ago, that by providing the highest quality repairs, with a dedicated office staff that is committed to the highest level of customer service, and qualified trained technicians that are aware of the importance of performing quality repairs with one thought in mind, your family’s safety. My commitment is to you, my loyal customer, NOT to any Insurance company. I promise to repair your vehicle correctly, using only Factory Original Parts, and assisting you in the entire claim process. By following these simple, yet important standard operating procedures, was how I wanted to grow my business. And for 40 years, it has worked. Thank You for choosing Skrips.